Photograph. 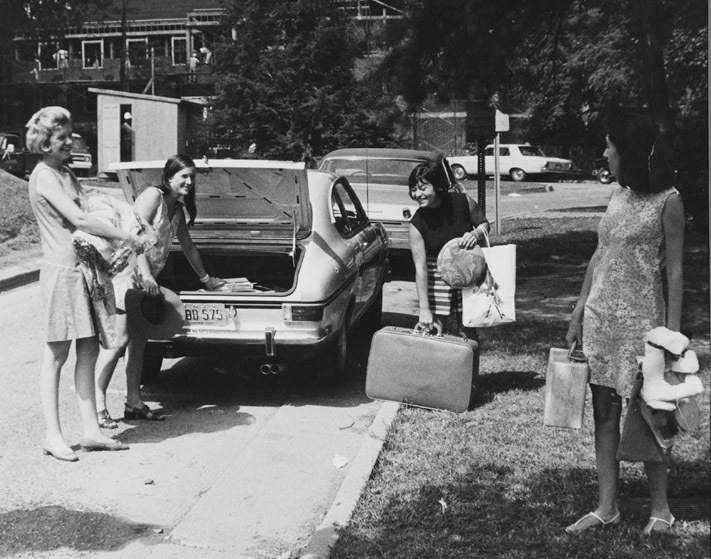 Female students moving into dormitories following women's admittance to UVa on the same basis as men. 1970 September.